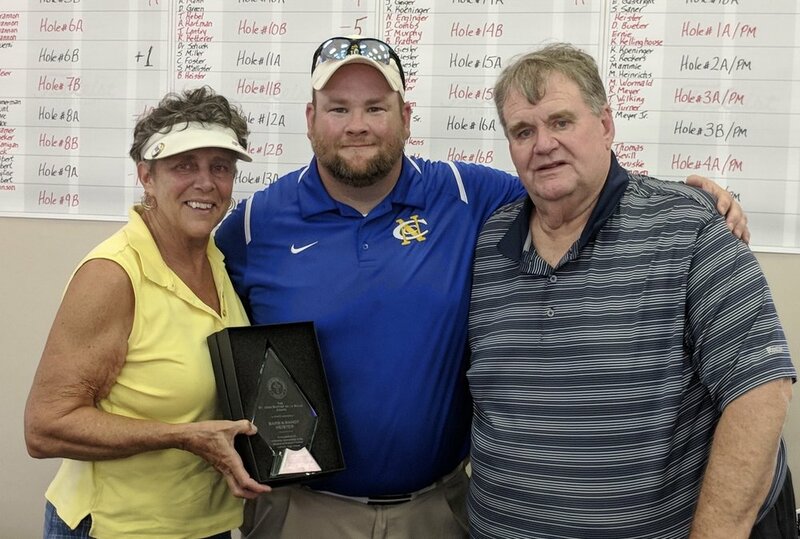 At Friday's golf outing, Committee Chair Matt Heister presented the St. John Baptist De La Salle award to Barb and Randy Heister. This honor recognizes extensive stewardship in the mission of Newport Central Catholic. Barb and Randy Heister and family are generous with their time and talent and continue to be active and generous supporters of all things NCC.